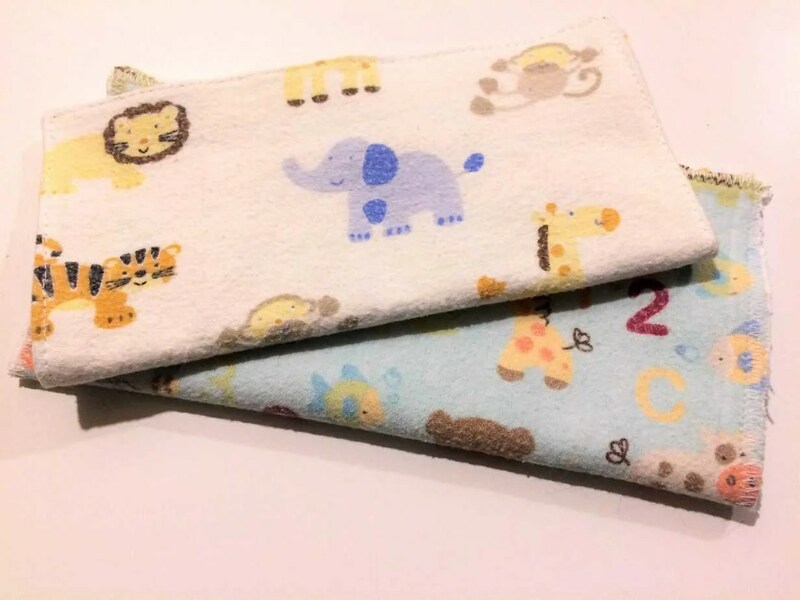 If you used my sewing tutorial to upcycle your flannel blankets into cloth baby wipes then you’ll need a wipes solution to use with them. This post contains affiliate links, see our disclosure page for more information on affiliates. We store our cloth baby wipes in a wipes warmer. We’ve loved using both the Prince Lionheart and the Munchkin brand wipes warmers over the 6+ years we’ve been cloth diapering our babies. Dr. Bronner’s Liquid Soap There are many options, even a Baby Unscented Soap. 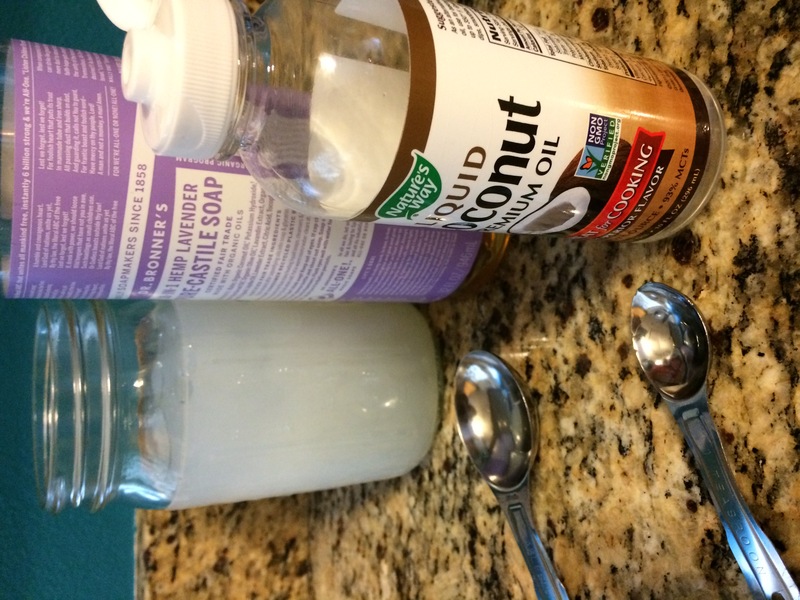 Fractionated or Liquid Coconut Oil or if you have solid Coconut Oil you can use that as well. To fill one warmer with wipes I use about 3 cups of hot water. I’ve found this amount saturates the wipes just enough; there isn’t excess water dripping everywhere and they don’t usually dry out before we use them all. Next add your soap. Always start with your water, so the soap doesn’t bubble up everywhere! Since lavender is good for the skin, and it smells nice I was adding Lavender Essential Oil. 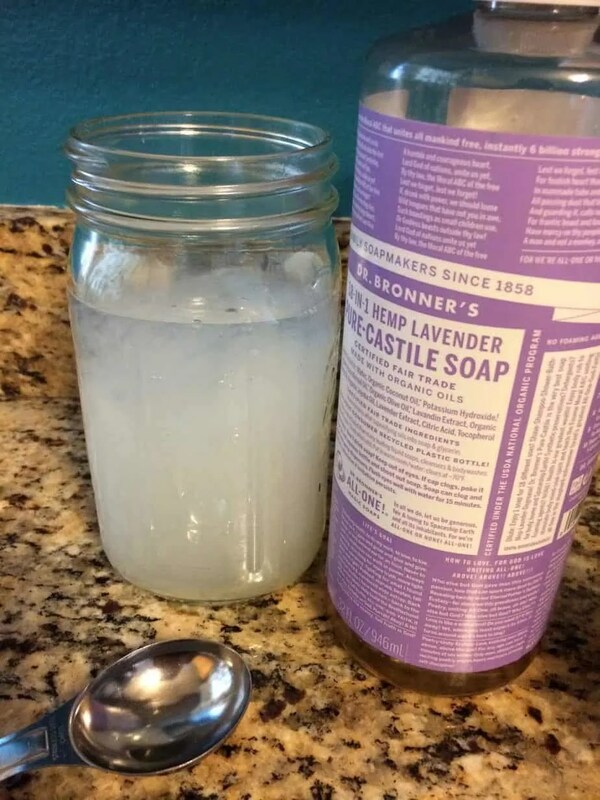 Recently I switched from Dr. Bronner’s Baby Unscented Soap to Lavender, and I haven’t noticed any big difference. The lavender scent is very mild. I’m all for taking out a step! Next up are your oils. Coconut oil has natural antibacterial and anti-fungal properties. The oil also adds a silkiness to the cloth wipes that helps them glide over baby’s bum. Anytime we use disposable wipes this one of the biggest differences I notice. There’s more scraping than wiping going on. I add about a teaspoon of coconut oil. I have also used whole coconut oil, that solidifies at room temp. 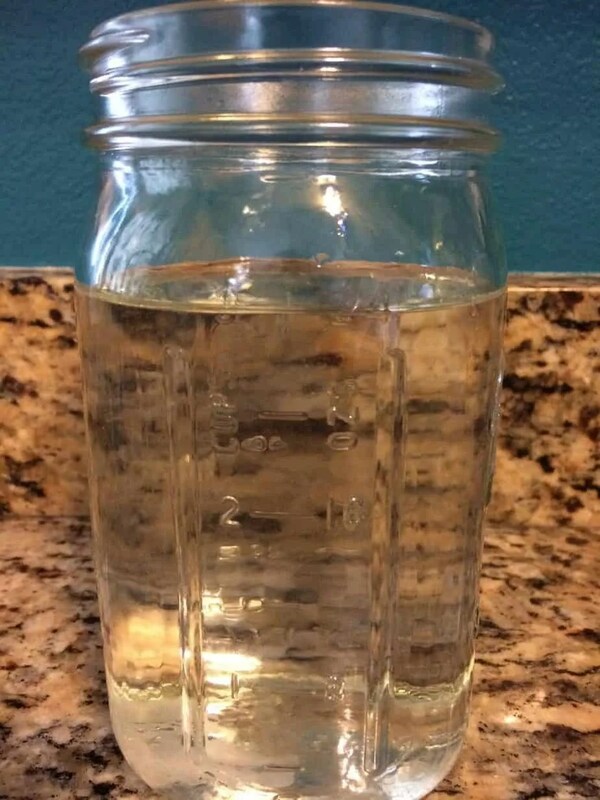 To use this oil start with a teaspoon in your jar, fill it with hot water and stir til it melts. Then add your soap. And last to the wipes solution is Tea Tree Oil, which is also great for the skin and has antimicrobial properties. Next add about 20 drops of tea tree oil, or approximately 1/4 teaspoon. I give it a quick stir and pour it onto the wipes, getting the middle of the stack wet and then flip the stack over so the bottom ones get saturated too. Always use all the old wipes before adding more. If there are a few left I place them on top to be used first. I regularly clean and dry out the wipes warmer. Moist, warm environments breed bacteria and need to be cleaned and dried often. I’ve been using this cloth baby wipes solution for years, tweaking it every now and then and it works well for us! You’re welcome! It’s a quick sew! Love the idea of cloth diapers! Thanks for writing this entry!